In the early 20th century, tuberculosis took its toll on Indiana’s population. As a result, tuberculosis sanatoriums were built throughout the state for those infected. In 1918, the Lake County Tuberculosis Association began the process of building a sanatorium in Lake County, which was completed in 1925. Because staff members of tuberculosis hospitals were to be readily available at all hours, on site housing was usually provided for nurses and doctors. At the time that the Lake County Sanatorium was built, it did not include a residence for nursing staff. Therefore, from 1925 to 1930 the female staff lived inside the sanatorium until the 1930s, when the three-story, Georgian Revival building was constructed and served as the living space for nurses, female laboratory technicians, dieticians, and other female employees. Even though the need for tuberculosis hospitals diminished by the 1940s because of advances in the treatment of the disease, the Lake County Sanatorium remained open through 1971. Throughout the intervening years, many of the sanatorium’s buildings were either demolished or altered to accommodate new uses. The Lake County Sanatorium Nurses’ Home is the only building of the Lake County Sanatorium complex that has remained in its original state and is one of two remaining tuberculosis nurses’ homes in the state. 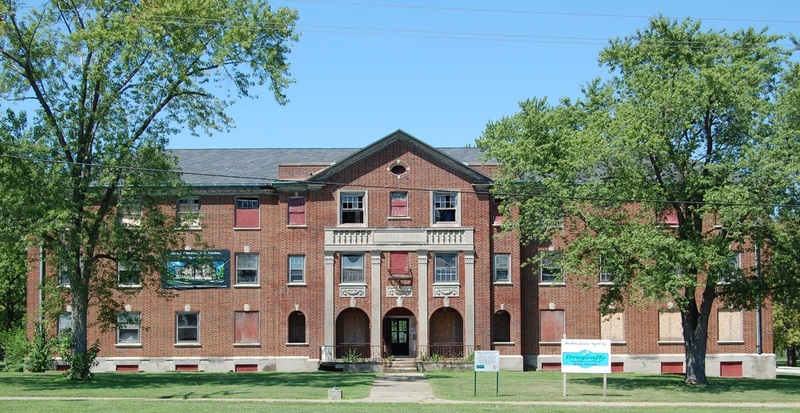 The current owner of the Lake County Sanatorium Nurses’ Home has begun the process of restoring and preserving the building while converting it into a regional cultural arts center. The Sanatorium Nurses’ Home was listed on the National Register of Historic Places in 2005. Indiana Division of Historic Preservation and Archaeology, “Lake County Sanatorium Nurses' Home,” Discover Indiana, accessed April 25, 2019, https://publichistory.iupui.edu/items/show/370.